To a hunter, boots are an essential stuff. A good pair of boots provides good protection for our feet when we’re crossing rough terrains in the forest. They are also more durable than shoes, which allows more movements and higher pressure. So every hunter in the world always wants to have a perfect pair of boots. Today, we are going to examine two of the most famous footwear brands for hunting. Bogs or Muck? You probably did wonder boots of which you should buy. If you spend some time surfing around the internet, there a bunch of people asking the same question. It’s because both have many models and exclusive technologies. The exact answer, however, doesn’t exist. Because this depends on personal preference and experience of the users. But there definitely are some things that each brand is good at, which help them compete the others. We’ve made judgments between the two brands from different categories. To see if which is better for you, examine watch category and pay attention to the aspect that you want most. Conclusion – Are bogs or muck boots better? When buying a pair of boots, you will want to know if they are comfortable or not. Then, you will notice to its durability or water resistance. There are others criteria, which shape your perfect footwear. According to reviews of many users and our real experiences, the Bogs’ boots are more comfortable than the Mucks. Many footwear from the Muck is stiffer and heavier than their counterpart. This put user’s feet into a discomfort situation. When you are working for long hours, heavier and harder boots can tire you out. Especially when are moving in the forests, there many rough terrains which drain your energy quickly. A swifter and smoother pair of boots is more appreciated in these situations. There are also minor factors that affect the comfort. It is the smell. It happens with ever kind of footwear but becomes particularly important with boots. It’s because you wear boots when you’re moving or work a lot more than normal. The Muck’s boots have special methods to solve this fragrant problem. In their products, the company uses air mesh linings to reduce pungent odor. This helps create spaces in the boots and prevent them from smelling. Meanwhile, the Bogs introduces an exclusive technology called Inscentible Scentmasking. It can remove the bad smell and provide comfortable feelings for the shoes. The Bogs’s boots also use the Aegis antimicrobial odor protection. This feature is applied in most of the brand’s products. 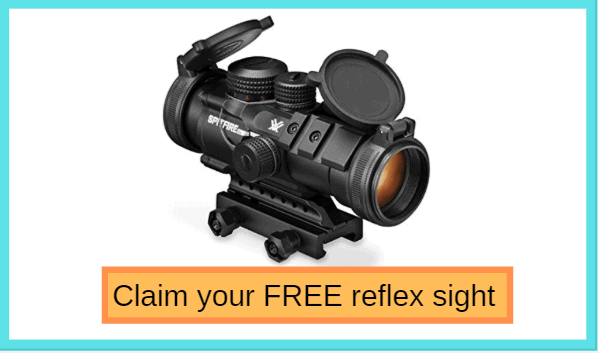 It seems to be very effective because of lots of positive feedbacks from users. You can find more information about boot and feet caring at profeethub.com. The waterproof function depends on the material and the height of the shaft. 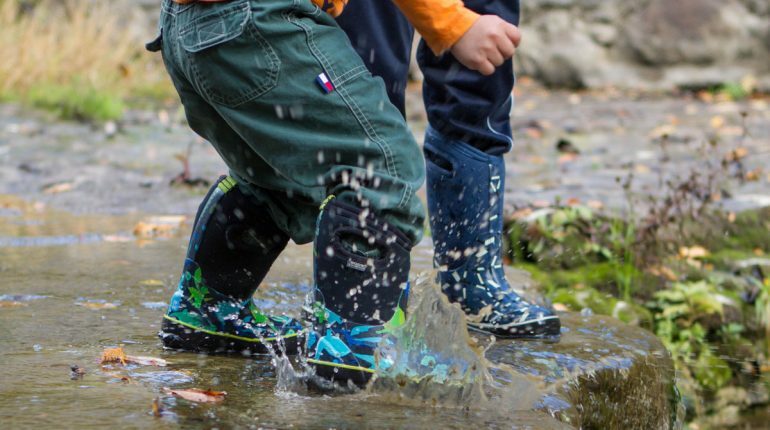 Boots that use waterproof material can score higher in this test. The higher the shaft is, the more resistant it is. Also, this metric is based on personal experience. Some people found that Muck boots are worse at water resistance. It’s because they used them and it leaked, while the Bogs’ didn’t. But through some examinations, we found that the Muck’s boots are better. We also collect opinions from thousands of users to have the exact results. 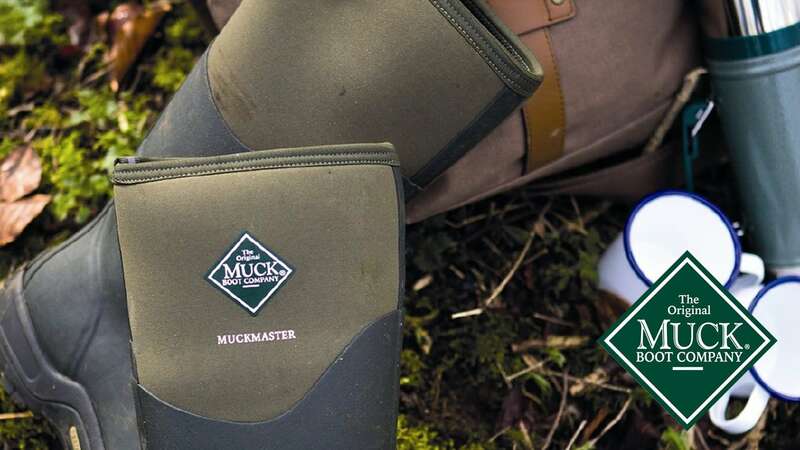 The Mucks have an impressive water resistance, while the Bogs’ are just average. As said before, hunting boots need to be durable. It has to withstand much pressure, from rough terrains, extreme weather conditions, and high usage. The Bogs and the Muck are two big brands, so they know how to please their customers. They try to lengthen the lifespan of their products by many methods. The material for Bogs’ boots is often durable hand-lasted rubber. This is more reliable than normal rubber. They also use four-way stretch inner bootie to prevent your boots from cracking. For the Mucks, they use vulcanized rubber for their boots. Whether it is the sole or the shaft, it still the most durable rubber material. Combining with flexibility from four-way stretch nylon bootie, the Muck’s boots can tackle any challenges. Besides that, these boots also have features such as abrasion-resistant and self-cleaning. They maintain the footwear’s best state and reduce negative impacts of the environment. We often go for a pair of boots in the winter or icy weather. So the footwear should be warm enough to protect our feet. There is a technology called Neo-Tech applied for most Bogs’ boots. It keeps the temperature inside the boots at a decent level, enough to warm your feet up without making you sweat. However, experiences show that the Muck’s boots are warmer. It may be because of the unique material and design that they use for their products. It is clear that most of the boots from Bogs have lower prices. For boots that provide equivalents features and quality, you always need to pay more for the Muck’s boots. Of course, you’ll have some minor good features in exchange. And every brand ahs their own way of appreciating their products. But with some customers, this extra funds isn’t satisfying. One thing that Bog’s boots are obviously better is that how easy to use them. You can slip your feet on and out. You can have the boots firmly on your feet in under a second or two. This is somewhat impossible for the Mucks. Their boots require more effort to put on. This isn’t good when you have to quickly make your stuff ready, for example when a bear is approaching your resting place. As said, function is more important than fashion for hunting boots. But when you’re wearing a nice boot, you can feel happier. The fact that you have more options when buying also make your more interesting. But only the Bogs understand that thing. Their boots look more stylish and fashionable. They also come with many colors, which you can pick based on your interest. In contrast, you can only have one color or style if purchasing a pair of Muck’s boots. Every brand have many models, and each has many characteristics. We can’t just look at some of them and judge the entire boots. But when you know each brand’s pros and cons, you can save time when buying a perfect pair of hunting boots.